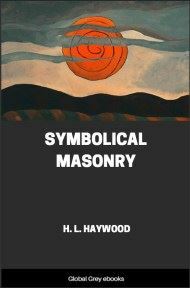 An interpretation of the symbolism of the Masonic Lodge. Contains considerations of the sources of these symbols. 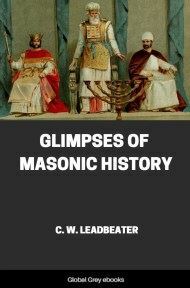 Underlying the ceremonies practiced by the Freemasons of the present day, there is a system of philosophy which is based on the lofty conception of the Most High God as a Being who indwells the Light, and is Himself "light." Opening the V. of the S.L. at its first page, we read of the earth as " formless and void." The G.A.O.T.U. was engaged in laying the foundations of His creation in the gloom of the primeval Chaos, when suddenly there issued forth from the Throne, the mighty fiat, " Let there be light ! " and then, lo, a great wonder: what has been done in the darkness is made manifest. 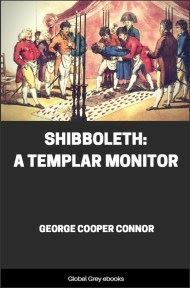 Then, three periods of time are said to elapse, and on the fourth the material Sun and Moon are made to appear in the firmament, which the Masonic Ritual says were created " to rule the day and govern the night." This raises the question as to the nature of the original light, for evidently it was not dependent on the Sun and Moon. The R.A. Companion finds the above record in the mysterious scroll of vellum or parchment which he knows of, and our Ancient Brethren read it in former times in their Lodges as an allegory of what was done at every initiation. Indeed, we may note that from time immemorial it has been customary to make every Initiate to mark these three introductory periods or stages with his feet, after which the W.M. re-echoes from the chair the same creative fiat, which then becomes the signal for two distinct things: the restoration of " the material blessing," and the communication of certain secrets. By this simple explanation of an impressive ceremony, we are able to understand how it is that our Masonic era has always been styled Anno Lucis, " the Year of the Light," which suggests that our science had its starting point in the first dawning of the light. 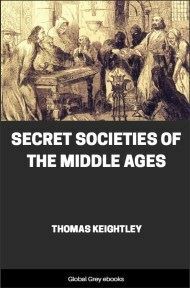 It was because our ancient Brethren took this view that they referred to all the masterminds that have helped to mould the world, from Adam downwards. 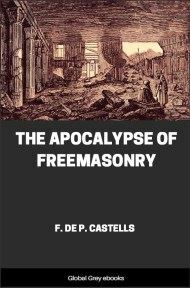 as so many Freemasons and Brothers. One may smile at it when perusing the Old Charges, but what they had in their mind was substantially true. What is all culture but a diffusion of the light in the sphere of the intellect? 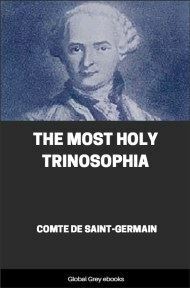 And what is the aim of our Fraternity but to promote the world's progress and to guide men through the paths of heavenly science up to the Throne of God, the highest source of light, and so most aptly symbolised by the flame of Fire in the Burning Bush that was ever ablaze but never consumed? In the Universe the light is undoubtedly the greatest, the dominant, force; but in the Ritual we learn that the darkness has also its practical uses. Remember that it was the world's Architect who ordained both. He made the light but did not completely abolish the darkness. All He did was to order that the light should shine in the daytime and alternate with the period of darkness called " the night." The plants were to yield their bloom and their fruit in the light; but, on the other hand, all the initial operations of nature were to be conducted behind the scenes, in the dark, so that the world would still be full of mysteries, and man would not be permitted to penetrate those mysteries without effort. 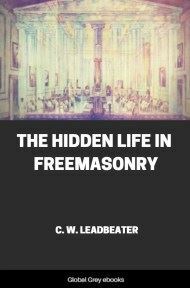 Freemasons have always used the Beehive as a symbol; and the industrious bees extracting sweetness from every flower in the field and storing it up in their "properly tiled " and darkened dwelling, present an excellent illustration of Masonic life. The canopy which the Creator spread over this earth has the effect of limiting our view, but it does not blind us; for at night time it is studded with a multitude of twinkling lights, and the result is a sort of "darkness visible." Moreover, if the glorious sun at noon-time unfolds a most charming spectacle to our gaze, the starry firmament at night is not less beautiful. The daylight makes the nearer things clear; but, then, the nocturnal gloom widens our view. This was once beautifully expressed by Blanco White in his sonnet to the night, which is one of the finest jewels of English literature. The physical sun shines on our surroundings, revealing the admirable form and hue of everything; but its very splendour dazzles us and renders the more distant scene invisible, and we have to wait till it has gone down and got dusk - till the night has spread its pall over the world, - to catch sight of the numerous other worlds revolving in universal space; and thereby to realise that this globe of ours is but an infinitesimal fraction of the vast creation ! For, strange as it may sound, the sun hides far more than it reveals, whereas the night (which in some respects reduces the range of our vision) is also the means whereby the veil is lifted up from a magnificent panorama which remains hidden from our eyes during the day. The darkness, therefore, although commonly regarded as an emblem of man's ignorance, is an effective aid to our science. The " ethereal mansion " of which the Ritual speaks, is said to be " veiled by the starry firmament," and it is " veiled " indeed, but not completely hidden, for the veil is a lighted screen through which we can peer into that boundless Universe where we hope one day to find the unclouded light of absolute truth. We described this " mansion " as made of Ether, to convey the idea of something intangible, but, of course, it is a paradox.